Bryan returns after a brief break, and the Nerds welcome back the Wheel on History to focus on status symbols. Photo Credit: H.H. Pope Shenouda III of Alexandra wearing an Eastern Rite version of the bishop’s mitre, taken by Michael Sleman of Hope Pictures LLC, 2007. In honor of EPISODE 99, Bryan introduces a remastered and re-edited version of Nerds on History‘s very first episode: The Mongoose Equation. Here we are again, Valentine’s Day, or less that affectionately known to others as singles awareness day. 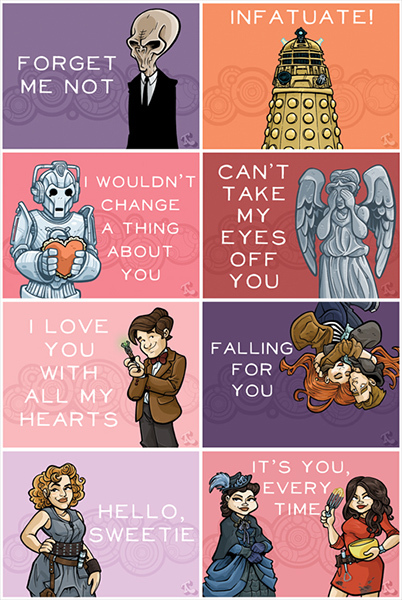 Today is a time for many to celebrate love, but for this nerdy girl, I see it as a time to celebrate chocolate, with the perk of seeing nerdy themed valentines (like these, these, and this). Now it may not come as a surprise to some of you, but I’ve never been one to really get into celebrating this holiday. I have plenty of cynical and deeply personal reasons for this, but one thing is that I don’t quite understand the point of spending money lame hallmark cards that don’t quite come from the heart,when there are better options (see nerdy valentines above). Eric is back as he and Bryan discuss Eric’s favorite topic: EGYPT! We apologize for any sound quality issues we had while recording.